Today, we tend to dismiss the alchemists as nothing more than dubious hucksters and impractical dreamers whose sole mission was a misguided search for ways to transform base metals into gold. But actually, they were much more than that; as the forerunners of modern chemists they originated many chemical processing methods that are still in use today. One of the key areas of human endeavor that the alchemists were involved in was medicine. The essence of medicine is transformation, and the alchemists transformed deadly poisons or otherwise inert organic substances into valuable medicines capable of bringing about beneficial healing transformations in the organism. Alchemical practices and currents of thought can be found in all the world's great traditional medical systems. In Chinese Medicine, the Taoists were involved in alchemy. In Indian Ayurvedic Medicine, alchemical bhasmas, or mineral ash preparations, are wonder drugs that are still in use today. The alchemical tradition in Greek Medicine is based on Hermetic philosophy, which was founded by the legendary Egyptian philosopher king Hermes Trimegistus, or the "Thrice-Great Hermes". Many alchemists equate him with the Greek god Hermes or Mercury, and take his winged, serpent-entwined staff as their symbol or emblem. The guiding principle of Hermetic philosophy is, "As above, so below; as within, so without." In its overal form, structure and composition, the microcosm of the human body reflects the macrocosm of Nature. Disease and dysfunction arise when the microcosm of the human body gets out of balance with the macrocosm of Nature; healing consists of bringing the microcosm of the human body back into balance with the macrocosm of Nature. 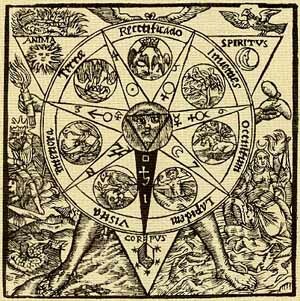 Hermetic philosophy also underlies the science and practice of Medical Astrology. The planets symbolize universal life forces and processes that are active both in the macrocosm of the natural world and within the microcosm of the human body. Being intermediaries between God, the Prime Mover, and the world of Man and Nature, the planets and signs of the zodiac deal with the pure forms, or archetypes, that underly all the changing forms and transitory phenomena of the outer world.